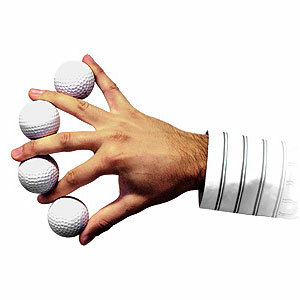 A ball multiplies from one into four, increasing one at a time in the magician’s hand. - Balls’ diameter is cm 4,5 (about in. 2). - Requires some practice, but the effect is amazing. - Made in plastic, good price. - Supplied with an extra regular ball, so that you can give everything out for examination.